Join with more than 291,331 students now confident in maths because finally they can do it! Each of the 1,400+ MathsOnline tutorials last around 4-9 minutes and present the concepts of the maths lesson step-by-step. Using synchronised audio and animation which harnesses both audio and visual learning styles simultaneously. 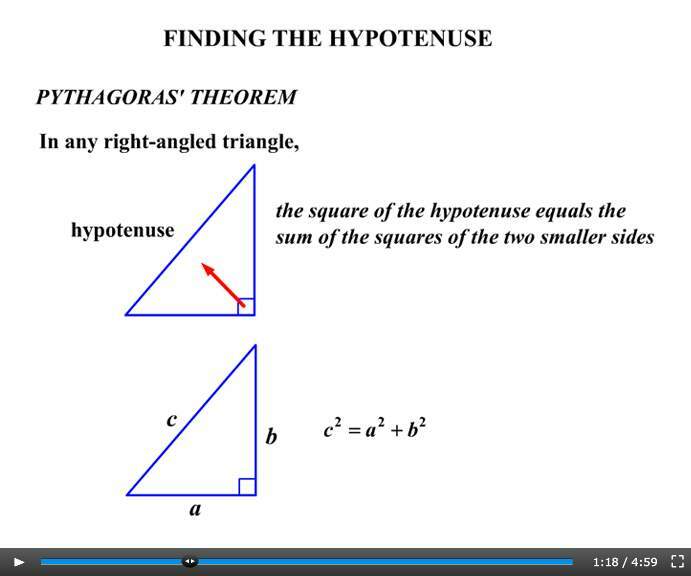 MathsOnline lessons can be studied at home or at school and all devices. Obviously no one can force a young person to study maths, but what we have done here is to provide materials that are interesting and stimulating in themselves, and which will encourage the student, once started, to continue studying. Following each maths tutorial there are interactive questions or an optional printable worksheet which tests the understanding of key concepts. Answers are entered into MathsOnline automated marking system which then stores the results in each individual student's ongoing progress report. This brings in the third learning style - Kinaesthetic, which is the process of actually doing the maths yourself. A printable one page summary of each tutorial provides the student with concise and complete notes from the maths tutorial. Ideal as a reminder for homework, revision and review. After answers have been submitted, printable fully worked solutions become available showing every step which should be taken to reach the correct answer, just as it should be done in a maths exam. Ongoing progress reports are built for each individual. This helps parents and students in identifying weaker areas requiring further study. Every maths lesson a student attempts is logged and the results stored along with statistical information detailing when they passed, what they scored and how much time and effort they put in to pass that lesson. Parents can instantly see the areas where their children may need additional help. A big problem with classroom maths teaching is that you can't stop and rewind the teacher when you lose your way. OK, you can put your hand up and ask a question. But how many kids are too shy to do this? Or embarrassed about interrupting the whole class? What if you could get the teacher to go over things again? And in a friendly and easy to understand way? World-renowned maths teacher Pat Murray has helped tens of thousands of students excel at maths. He can help your child too. Pat presents each lesson in his unique friendly, step-by-step manner. The lessons are concise and logical, making them really easy to understand and retain. This gives students that important self-confidence in their own ability. One of the most powerful features of MathsOnline is the ability to stop and rewind the teacher to repeat anything your child doesn't fully understand. As many times as they like - until they feel comfortable. There's no embarrassment factor and Pat will never get frustrated. A really important factor with maths learning is consistency. When students change teachers, they need to be able to get used to that new teacher's individual style of presenting lessons and theories. With MathsOnline, your child gets the added benefit of having the same excellent consistent teaching. Using this consistent method of learning throughout school makes transition between school years and even different schools a much more manageable experience! Each lesson teaches as much as an entire school maths lesson in an average of just 5 minutes!